After a busy preseason it was fantastic to see 5 full senior teams on the field for Round 1 of the 2016/17 season. A day that saw many good performances was capped off with a healthy gathering back at our new sponsors, The Builders Club. 3rd Grade Blue’s Chris Dwyer took out the first “Player of the Day” award for the season, which saw the resurrection of the classic mug. He took 4/35 off 14 and was 25 not out at stumps. Remember, you have to be present during our match day wrap at The Builders to be eligible for the award! A huge thanks to everyone who did come “Back to the Builders”. It was a big crowd and we’re looking forward to continuing the gathering each week throughout the season. 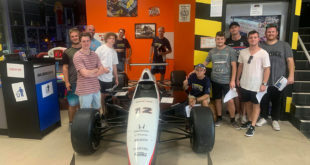 Hope to see you again this Saturday evening, hopefully celebrating a few victories. 1sts won the toss at Plateau Park against Wakehurst in conditions that looked as good for batting as we’ve seen in years. The brand new pitch covering and the fast outfield delivered. The Nick Bonner and Rob Minnett opening combo got CPCC off to a fast start – they secured a 66 run opening partnership before Bonner was undone for 38. Minnett went a short time after for 43. The were many contributions through the middle order as the Plateau kept the score ticking over. 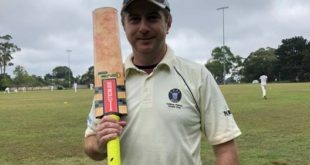 David Bennetts at 5 was the rock throughout and a partnership between him and David Le (34) positioned the Plateau well for a late day onslaught at 6/218. Sam Steindl at 9 blasted us up towards 300 with a quick 45, hitting crisp shots around the ground. At stumps after 74 overs 1st Grade finished at 8/293, with Dave Bennetts unbeaten on 71. 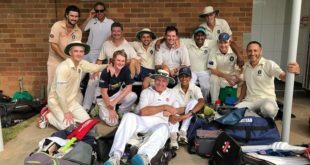 The Plateau still have a big job ahead of them with the ball this weekend as the strong Wakehurst batting lineup will look to also take advantage of the batting friendly conditions. 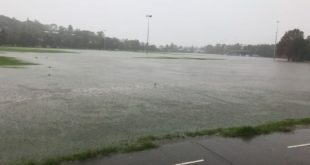 2nds were sent in by St Peters at Balgowlah. It was also a fairly strong performance by what is largely a new group. 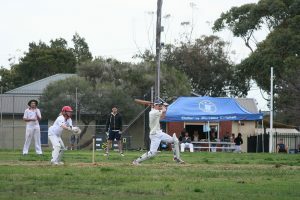 Captain Brodie Elliott made a good start to the season, hitting 49 from number 3, whilst Plateau debutante Nick Johnson made a solid 45 in the middle order. A number of other contributions landed the Plateau at all out 202 of 65.4 at stumps. In the standout performance of the weekend, 3rds Gold have already won their match on first innings. They sent Wakehurst in at Nolans 3 and swiftly bowled them out for 103 off 31 overs, largely thanks to an incredible 7/7 off 7.1 by Pat Koch. The Plateau then wasted no time with the bat – a 43 to opener James Bourcier (in a 65 run opening stand with Ryan Blackshaw) and 32 from Brad Baber put CPCC ahead at stumps at 8/137 off 37.5. They are the first Plateau senior team to claim points in 2016/17! 3rds Blue lost the toss and bowled first against Harbord at Nolans 4. As has been mentioned already, Chris Dwyer was the stand out with the ball, taking 4/35. The remaining wickets were shared around as CPCC restricted Harbord to 177. In reply, the Plateau have made a good start and are 1/43 heading into day 2, still with a big job ahead of them to claim the points. The Development Team were at Warriewood against Mona Vale who won the toss, batted and declared at 9/228. CPCC are 0/19 in reply. Performances to come next week….